I’m on the final wind-down of FOTO-CLUB training courses and workshops. The last one-off workshop was a Fashion-themed workshop with the stunning Bethany Reynolds at my very own Strangetown Studio. All that’s left now are these two 5-week courses which start at the very end of February and 1st of March. I’m happy to report that, like the final workshop, these look very likely to fill up (with only a couple of spaces remaining on each). And so after 14 years or so of these events, I’m looking forward to them… and dreading them in equal measure. The last class will be a sad day (well, evening) indeed. 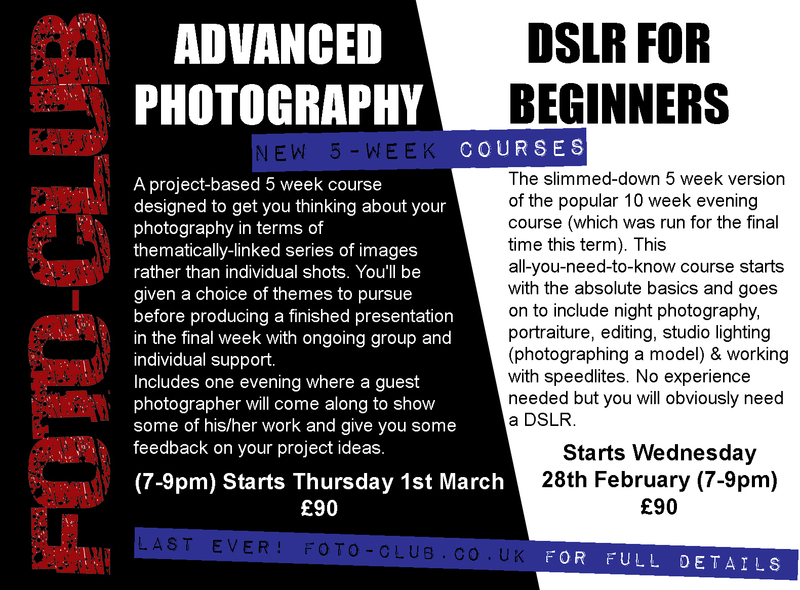 But if you or someone you know fancies the first (and last) ever 5 week DSLR For Beginners or Advanced Photography course, I’d suggest that they sign up soon.